your own. It’s been so long! They say. Amen. Oliver’s poems, which she describes as text-based home movies,” unveil a cinematic vision of suburbia at once comical and poignant: framed to renew our curiosity in the mundane and pressing rhyme and metre to their utmost, Meeting the Tormentors in Safeway is a five-star performance from Canada’s new formalist sensation. Alexandra Oliver was born in Vancouver, Canada and divides her time between Toronto and Glasgow, Scotland. 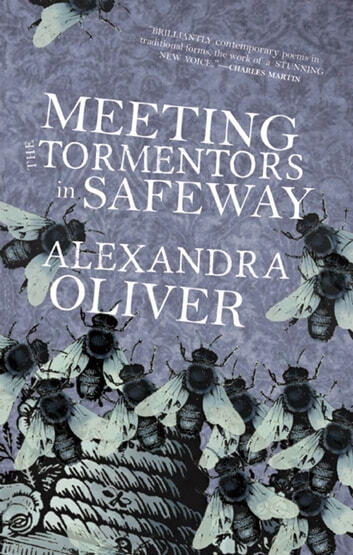 Her most recent book is Meeting the Tormentors in Safeway (Biblioasis). She currently teaches in the Stonecoast MFA Program at the University of Southern Maine.